NINE PEOPLE – SIX children, two adults and a teenager – have been taken to hospital with serious injuries following a collision between a school bus and a car in Co Limerick. The collision, which occurred at Ardvarna, Lisnagry, was reported to emergency services at 8.15am. The 28-seater bus, contracted by Bus Éireann from a private operator, and white Renault Laguna collided near a house and on a bend in the road. One of the passengers on the bus managed to exit the vehicle and run about 1.5km to a house to raise the alarm. According to reliable sources, the car ended up “pinned” between the front of the bus and a wall of a house. Two people travelling in the car were cut from the wreckage by firefighters attached to Limerick City Fire and Rescue Service. A Bus Éireann spokeswoman said the pupils were en route to Newport Post Primary School. “Emergency services were called to the scene and attended to some minor injuries, and we wish to acknowledge their speedy response,” they continued. 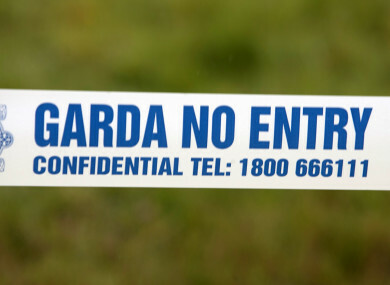 An investigation into the incident is being carried out by An Garda Síochána – which we are cooperating fully with – and an internal investigation will also be completed. The spokesperson for Bus Eireann confirmed all seats on the bus had seatbelts. “By law all school transport buses must have safety belts,” they added. The driver and passenger of the car along with the six schoolchildren and their bus driver were all taken to hospital by a fleet of ambulances. “Out of the six injured children, one has a (suspected) broken jaw; another has a (suspected) broken arm; and four have head lacerations,” a source said. The driver of the bus is believed to have sustained a chest injury. It’s understood there were between 10 and 12 people, including the driver, travelling on the 29-seater bus. “One of the schoolchildren who was on the bus ran about a mile to a house to raise the alarm,” a source said. A fleet of ambulances set up a “staging area” near the scene to allow firefighters cut out the driver and passenger from the car and get passengers off the bus. Some of the nine people injured are said to have sustained “serious but not life-threatening injuries”. Earlier, a spokeswoman for Munster Fire Control said five units attached to the Limerick City and County Fire and Rescue Service as well as one unit from Newport, Co Tipperary were dispatched to the scene. Gardaí have closed the road and are awaiting the arrival of a forensic collision inspector to conduct a technical examination of the scene. Email “Nine people injured in crash between school bus and car in Limerick ”. Feedback on “Nine people injured in crash between school bus and car in Limerick ”.